A woman looks on as a Maypole, approximately 125 feet long, is raised outside of an inn on Thursday for May Day in Grossweil, Germany. Every three years, a new Maypole is set up in the town. 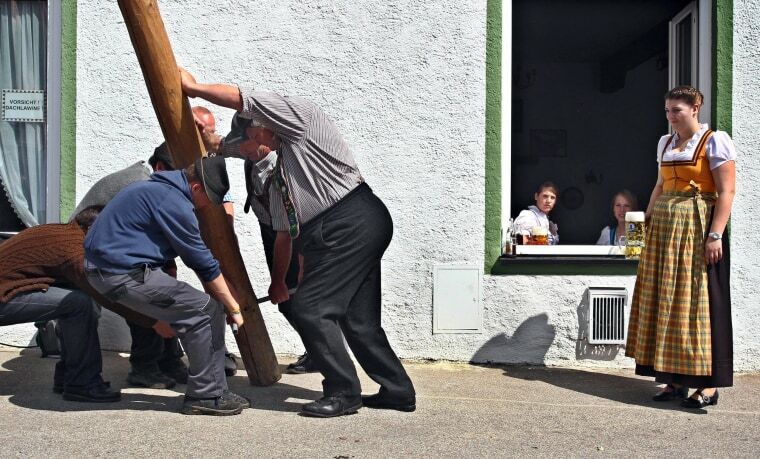 Using traditional methods, it takes several teams of men hours to raise the pole. The raising of a maypole is a May Day custom in Germany and Austria and dates back to the 16th century. Traditionally, the event is followed by a dance around the pole.